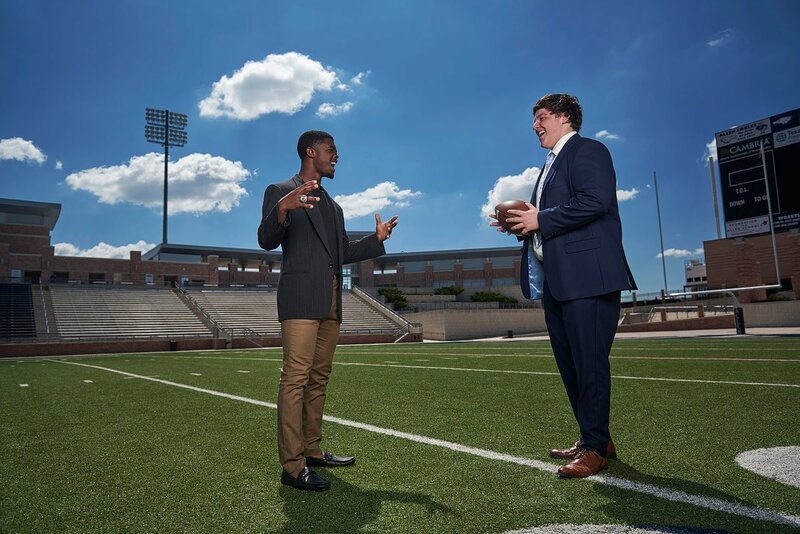 It was a pleasure to work with Mo as we photographed him with his lifelong friend Nick who also plays for Allen. All at the beautiful Allen Eagles Stadium. Read below for more about this fun photoshoot. 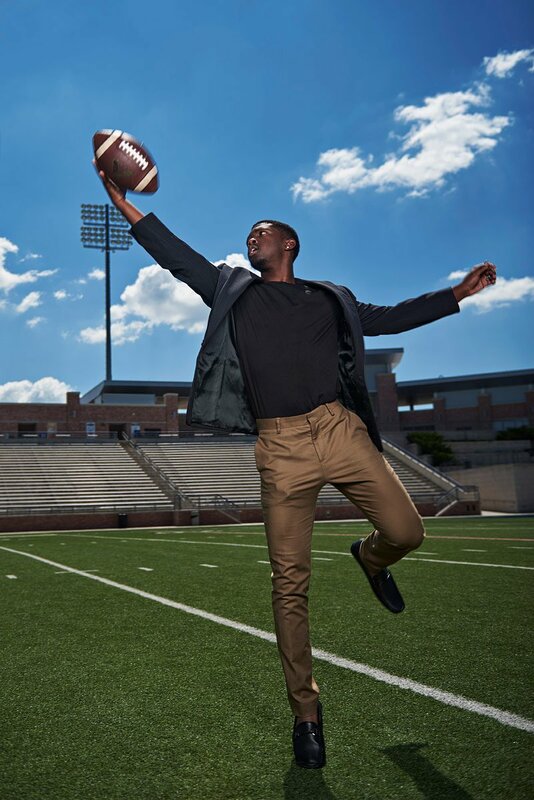 Mo joined us earlier in the year for his Allen Senior Photos in our Fashion Sports Portraits series. Along with his friend Nick, which we highlighted in an earlier post, we had a lot of fun going throughout the stadium doing looks with both of them together and separate. Mo decided to wear more of a casual suit look with brown pants and a sports jacket with a black t-shirt underneath. He was a pleasure to work with and a fine young gentleman with a bright future. Mo is the starting defensive back and captain for the Eagles this year and I have seen him in action stopping receivers and making big plays. 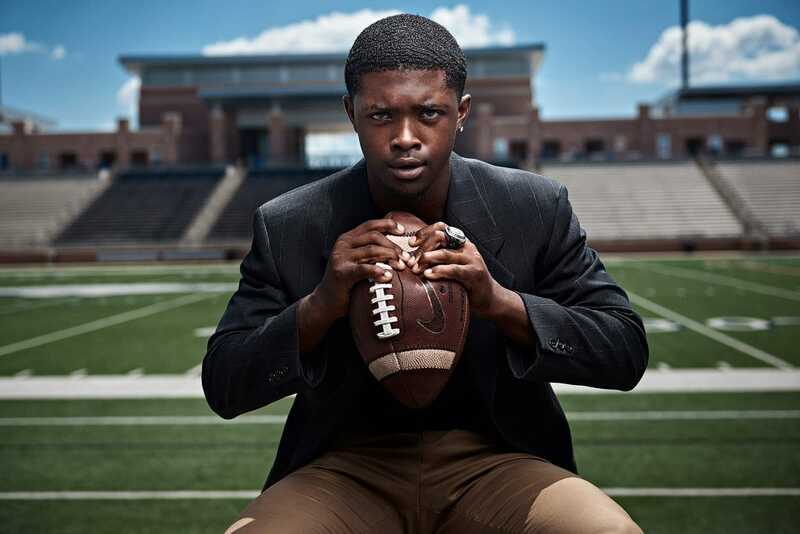 He looks to have an offer to continue his football career at Lamar University in Beaumont TX. I am not sure if he is officially committed to them yet or not. 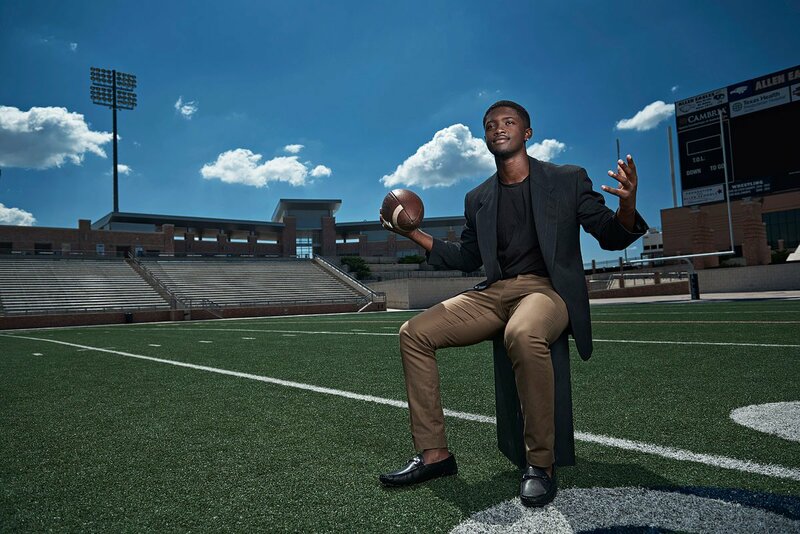 Allen Senior Portraits on the beautiful turf of Eagles Stadium. On Mo’s finger, you see Allen’s giant championship ring. 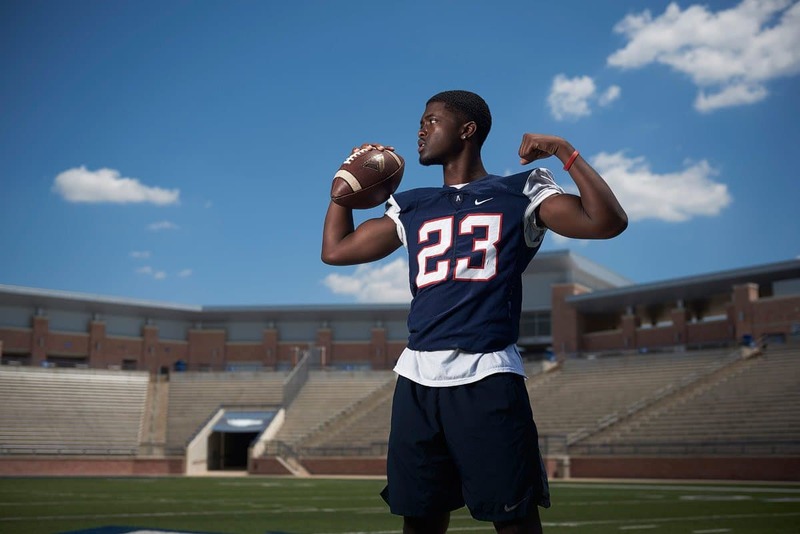 I have been to several of the games this year as Allen has gone on to have a perfect regular season at 10-0. The only close competition all year has been Plano East and Prosper High School. Plano East only looked to be competitive as it was through the first half until Allen put up 74 total points against them. The Eagles have so far averaged 51.6 points a game while only giving up an average 13.3 points a game. Mo is certainly a reason for that defensive success with shutting down teams scoring ability. 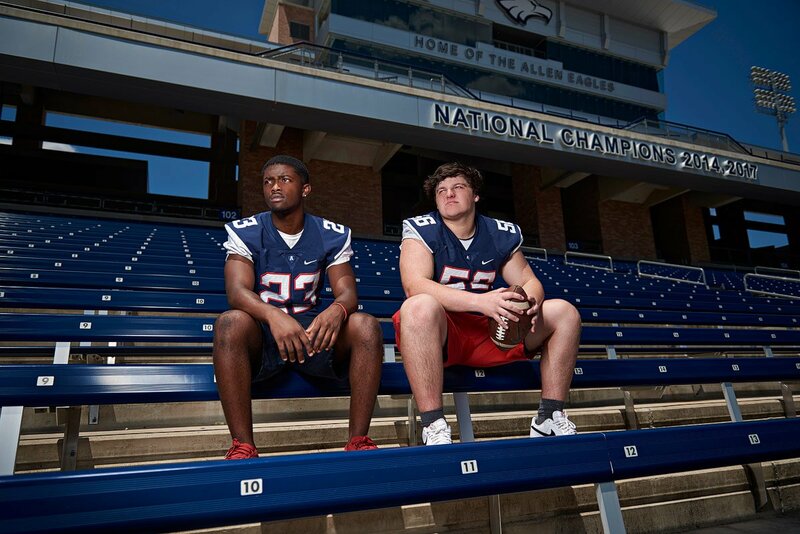 Allen will start their chase for a 5th state championship and another National when the playoffs start this weekend against Rowlett. The game will be at home at Eagles Stadium. Rowlett is 7 and 2 and should be a good challenge to the start of their playoff run. 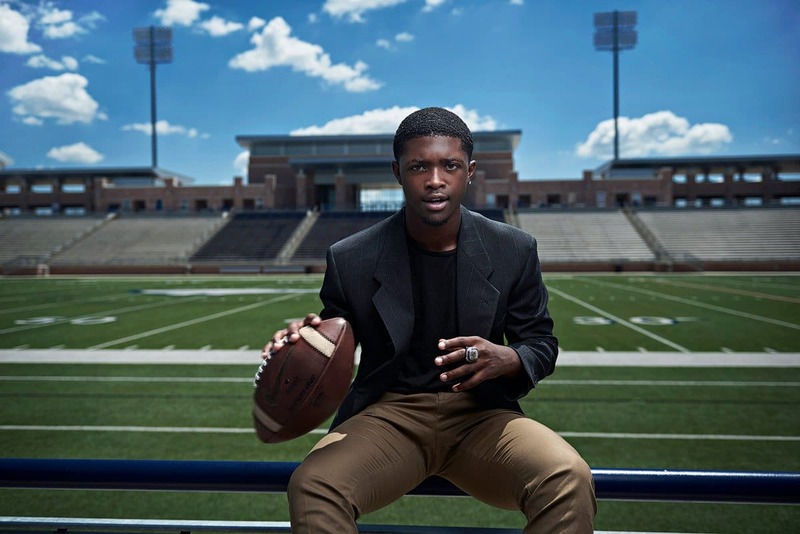 If you are an athlete at Allen for the upcoming winter sports season, we would love to talk with you and your parents about creating something truly unique for your Allen Senior Portraits. We have some amazingly creative ideas for swimmers and baseball right now, but you can also see some of the basketball work we have done here by checking out Jordyn Oliver’s recent photos. 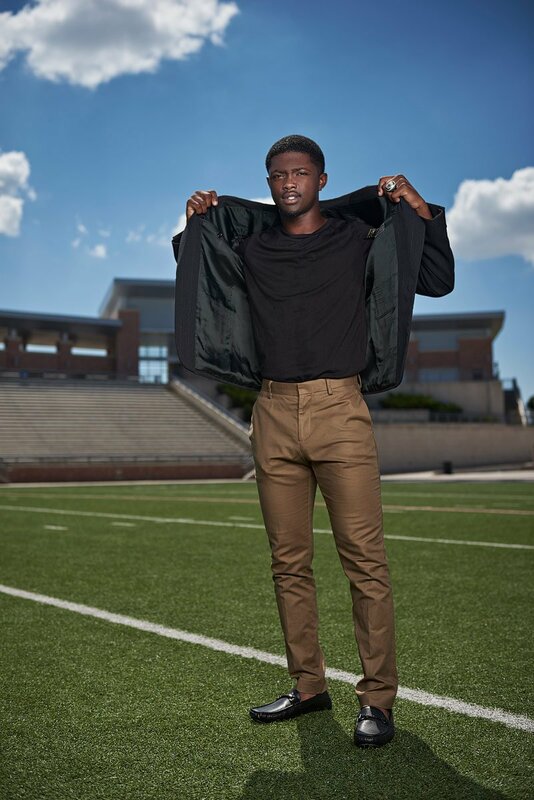 Jeff Dietz Photography is Allen’s best senior portrait photographer offering you a unique editorial and fashion style for indoor or outdoor senior photos. Located in McKinney Texas and available to all DFW areas, including but not limited to: Dallas, Fort Worth, Southlake, Prosper, Frisco, Anna, Highland Park and more. Contact Jeff for your free consultation at our studio or in your home.